‘Bloody hell, it works ‘n all!’ was the shocked exclamation offered by bit-gamer’s art editor when he got his hands on the 3DS for the first time. It was a response and attitude that later proved indicative of everyone else’s reactions. At first it seems ludicrous that the Nintendo 3DS, with its glasses-free 3D and other gee-whizz technology, can possibly work as intended. But it does work. Unlikely though it sounds, the 3DS really does offer 3D effects without requiring you to don glasses that make you look like an idiot, and without giving you instant migraines. ‘It’s odd, isn’t it?’ reflected our illustrious and artistic everyman about ten minutes later. ‘I’m not sure it’s good-odd, though.’ Abruptly he put down the 3DS, apparently disregarding it completely, and walked away. This too turned out to be indicative of most people’s reactions. Nearly everyone who saw the 3DS went through a period of short-term fascination before collapsing back to utter disinterest. 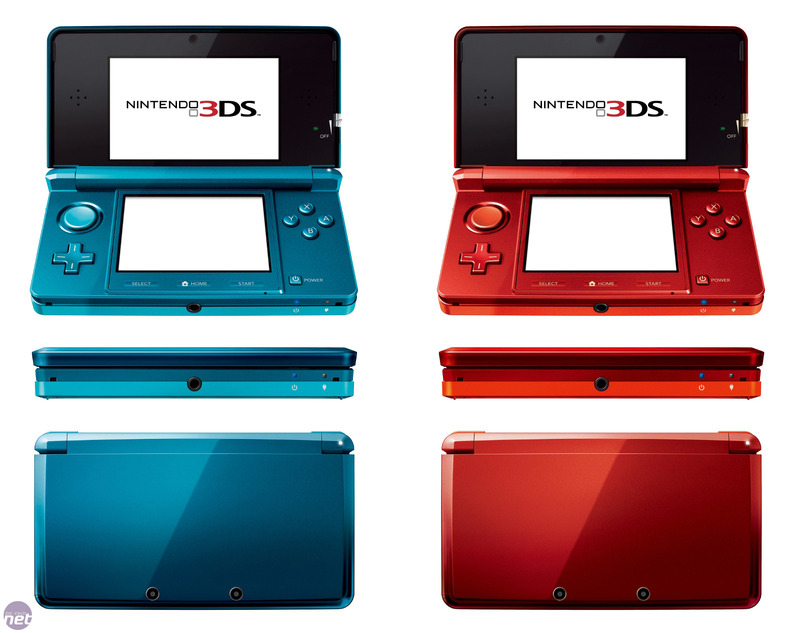 Nobody seemed to view the 3DS as an essential step forward. 3D is, in other words, still a gimmick. That you don’t need to wear glasses to see this effect with the 3DS is really just one gimmick layered on another; it doesn’t instantly elevate the platform to a whole new level and it doesn’t immediately improve the quality of the games. The 3DS’ core gimmick is still wonderfully accomplished, though. Nintendo’s use of the parallax barrier on the top screen means that, rather than having 3D effects that seem to ‘jump out’ towards the player, your eye is tricked into thinking there’s inwards depth. The effect is almost as if the 3DS’ top screen is a window into another world, which is an illusion far more suited to gaming than other forms of stereoscopy. It’s this inwards depth which proves to be the best feature of the 3DS, rather than the fact that you don’t need to wear silly spectacles. When we’ve used other 3D systems for gaming in the past we’ve always been disorientated by the way that the action seems to loom outwards, with UI features seeming to press against our eyeballs and fast movements proving especially dizzying. The 3DS, however, avoids this problem. Instead, it usually feels like the UI of 3DS games are on the same level as the screen itself, with the rest of the action in the distance. Of course, because the 3D is still essentially tricking your brain, it’s still an imperfect system. We’ll get to the specifics later, but we’ll say now that we did find racing games to be particularly problematic – the combo of fast-moving scenery and a pseudo-far-off horizon was a little bit nauseating, both at first and after long periods. However, our eyes settled down in the interim between extremes. There are issues with the parallax barrier technology too. The 3D effect basically only works when your eyes are a certain distance from the screen, as well as viewing it dead-on. This not only means that you sometimes end up having to hold the 3DS closer to your face than you might like (it seems to work best about 30 – 40cm away from your eyes, we found), but it also means you’re limited to a certain viewing angle. A variation of just a few degrees is enough to completely ruin the 3D effect, reducing the view to a blur. If you’re one of those people who (like us) twists their console in their hands as they play – again, usually a problem for racing games especially – or if you’re trying to play in a car, then it’s probably best just to disable the 3D effect altogether. Mario Kart 8 has become the fastest selling Wii U game to date with 1.2 million sales since its launch.